Bring on the sunshine, the growing variety of products, and the wonderfully Green Sunflowers that are so fun and festive this time of year. As we like to say around here “Green-goes” with everything. 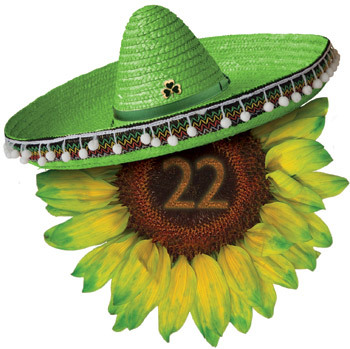 The weather has cooperated nicely over the past month, and we are thrilled to present – in excellent quantity and quality – our Green Burst Sunflower. The green center and jagged edges are a perfect twist for St. Patrick’s Day and beyond; especially this year, I think people are craving signs of spring and splashes of color. Tinted Suns are a great way to kick winter to the curb and throw open the windows for spring. 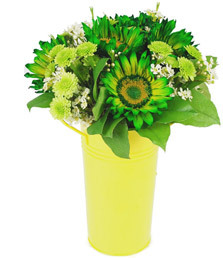 Green Suns, Marguerite Daisies and gold Eucalyptus – stunning and very festive! Please let us know if you’re seeing – or not -- the benefits of our efforts to improve communication within our sales team to give better service to you. I spent a few days in Denver last month at a Global Leadership Conference that gathered approximately 2,000 business leaders from more than 75 countries to hear world-renowned speakers and access resources to address key issues in business, politics, philanthropy and humanities. This is a great way for our team to get beyond the walls of Dos Gringos and the world of flowers and to learn from other disciplines and industries. Together this group generates $15 Trillion in sales and employees 15 million people. We are proud to be helping with a great cause for FINISH CHELSEA'S RUN on March 5th, 2011. We are donating 2,000 Sunflowers which will be sold for $1.00 each with ALL the proceeds going to the Chelsea's Light Foundation Scholarship Fund. We are also donating bouquets to the winners. Learn More or Donate Today: www.cheleaslight.org. 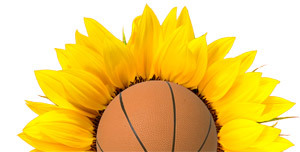 To all of our hoops fans, enjoy March Madness! We are fired up for spring – is there anyone who isn’t? – and ready to work with you to cover the country in flowers and bring smiles to millions!